Evidence is mounting that Ford and the Volkswagen Group could form deeper ties than once imagined. Both automaker’s announced a memorandum of understanding in June to research partnerships and joint-production of vehicles, but that might have just been the start. USA Today reported Tuesday that analysts believe both companies have begun to discover the potential of both automakers joining forces in greater ways. While the two already announced they would explore commercial vehicle development, additional synergies and cost savings may be revealing themselves as discussions go on. One analyst, Jon Gabrielsen, an independent market economist for automakers, said Ford could either oversee an “orderly marriage” now, or wait until things get worse and search for a strategic partner. A VW-Ford partnership would turn both major automakers into a behemoth in the auto industry and surpass Toyota as the world’s largest automaker by a significant margin. The benefits are mutual for both Ford and VW, too. Ford has lost ground in South America, China and Europe, while VW continues to perform well in the regions. Meanwhile, VW has tried numerous times to crack into the lucrative North American market with limited success. Ford dominates the market with trucks and SUVs. 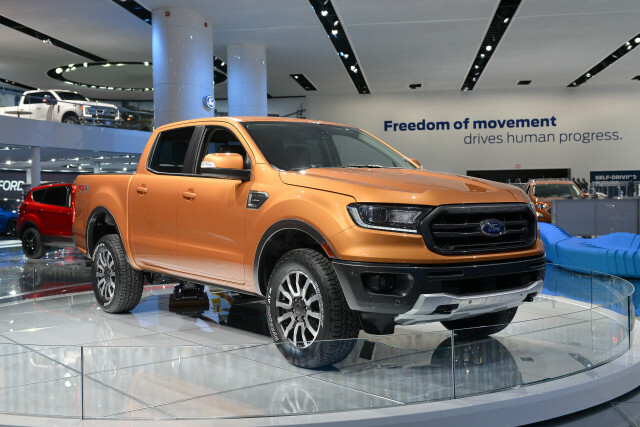 One of the first VW-Ford partnerships is thought to involve a redesigned VW Amarok pickup truck sharing a platform and production facilities with Ford’s new Ranger. Thomas Sedran, VW Commercial Vehicles board chairman told a German newspaper in August that both automakers will likely have more to share about “possibilities of collaboration” in the coming months. Analysts also agree now is the time for Ford to make a splash as its stock falls below recession levels and its European and Chinese operations begin to suffer. Ford will also reportedly begin massive workforce layoffs, which could pave the way for a VW partnership in the future. But, history has shown not all marriages are perfect matches. One of the most recent Ameican-European tie-ups, Daimler-Chrysler, ended miserably. Ford has also had past experiences that could be cause for caution in its Jaguar, Volvo, Aston Martin, and Mazda connections. And both company cultures could clash operationally, too. Ford has begun ramping up partnerships under CEO Jim Hackett. We’ve seen the automaker cozy up to Mahindra in India, with Lyft in North America, and with Zotye in China. But a VW partnership would be an absolute bombshell. Updated: Sony PS5: what will PlayStation 5 be like and when will we see it?